If you are interested in having me email, snail mail or allow for download of digital copies of images, contact me about the image/s in question. We can make appropriate arrangements for your purchase. The prices provided on request are guidelines for standard usage of images and are always negotiable. Remember the work you see here is copyright protected Lastly, if suggested prices are not within your budget feel free to contact me and I will try to work out something with you. Images for Myspace, Facebook and personal web space usage. 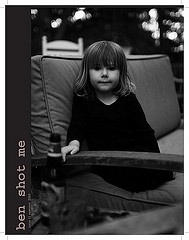 We will provide 1 low resolution web friendly images complimentary as long as a link back to benshotme.com is provided. Digital frame loaded with images- plus above plus cost of frame. If you would like to purchase photos directly from my lab to save time and handling contact me about the desired images and a gallery for purchase will be available.